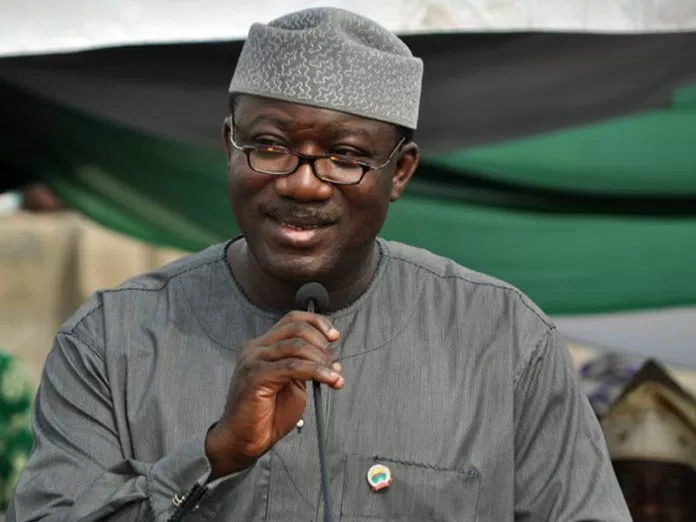 The Minister of Mines and Steel Development, Dr. Kayode Fayemi, is leading the Nigerian delegation to the Investing in African Mining Indaba, which kicked off on Monday February 5, in Cape Town, South Africa. A statement from the ministry disclosed that the Nigerian delegation comprises critical stakeholders, including officials of the Nigeria Geological Survey Agency (NGSA), officials of some state governments in charge of minerals and mining; financial experts, investors and operators. According to the statement, “The Investing in Mining Indaba is regarded as the biggest African mining event with significant interests from governments, organisations, financial institutions and investors within and outside the continent. It noted that, the presentation by the Minister would be followed by a technical session featuring global and Nigerian mining experts who would discuss the new electromagnetic survey results. “The presentation and the technical session are scheduled for Wednesday, at an event designated as Nigerian Day at Mining Indaba 2018, at the Cape Town International Conference Centre, Cape Town. “Fayemi, last December disclosed that the Ministry had secured the delivery of 26,000 line kilometre of electromagnetic data, following the payment of outstanding fees to the consultant that handled the project. He also said that the ministry would undertake extensive electromagnetic Airborne Geological Survey of promising parts of the country this year, as well as the completion of the National Mineral Database.